We love the brightness of this tea. 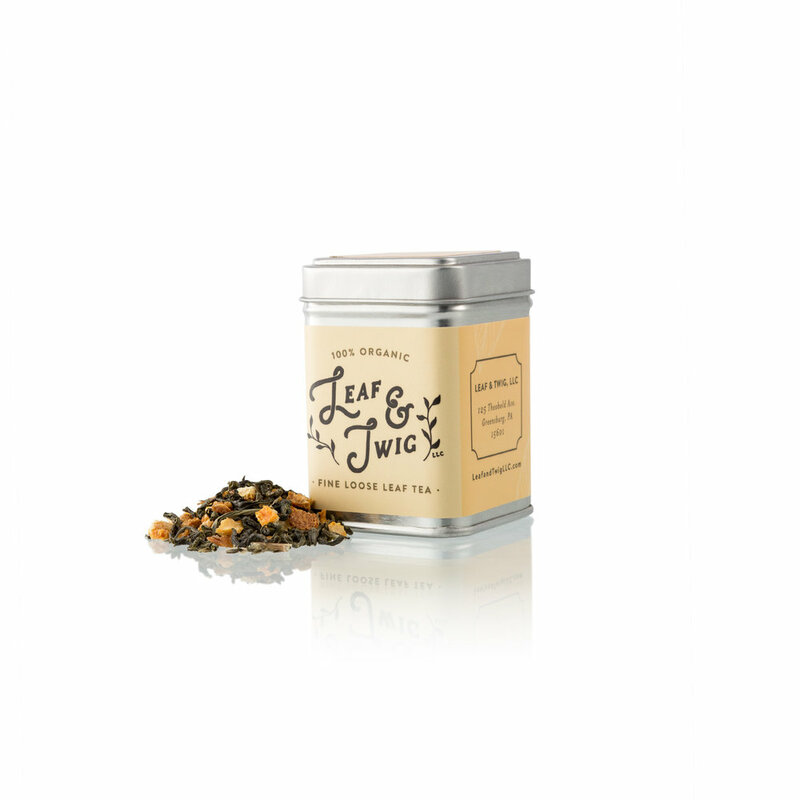 Citrus Joy provides a gentle boost to your morning and can brighten your mood. We combine a small amount of green tea to lemon balm and dried orange peels. The green tea provides some caffeine but the brightness comes from the citrusy flavor of the tea. It is delicious hot and is also very enjoyable iced. Large Tin - $13.50 | 24 Servings | 4 oz. Oranges have vitamin C which tends to be the main focus in health circles. The peels also contain the vitamin which is great for energy. Also present are more antioxidant nutrients that complement the green tea. It is very aromatic and can give you a boost to your energy and mood. Traditionally the Chinese also use the peels for settling indigestion. This herb is part of the mint family. It grows very well in the Southwestern PA climate and like mint, spreads easily. This herb is great for calming and relaxing the nervous system. It is also often used to boost mood. One of its constituents is Vitamin C though like all plants, it contains a number of nutrients and oils. Use lemon balm with caution if on thyroid medication as it is considered to be a thyroid inhibitor. The green tea provides some caffeine but the brightness comes from the citrusy flavor of the tea. The caffeine in the tea is released slowly so the effects are not sharp and last longer. Green tea is not oxidized so it is a good source of antioxidants. 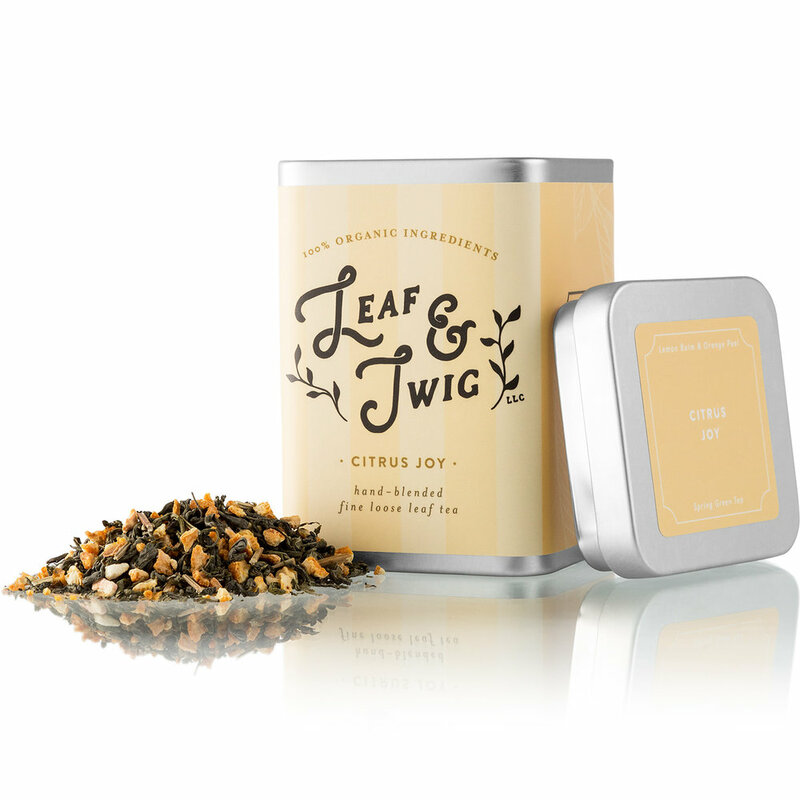 This tea is very aromatic and will brighten your day. Enjoy a cup in the morning or mid-afternoon and let a little light in.